It is no secret to most of my friends that I have a love affair with Google Chrome! It seems that most Salesforce Administrators and developer share my love of this browser because of its speed, ease of use, and some ways to personalize it. There are also a lot of productivity features which help administrators to be awesome at their job. If you aren’t a current Chrome user, perhaps this post will persuade you to rethink your browser choice! First, let’s talk extensions! These are browser add-ons which enhance the functionality of the browser. Developers have become very creative with the creation of these extensions, and Chrome boasts the largest number of extensions for Salesforce that I can find between the most popular browsers. Here are some of my favorite Chrome extensions. All administrators manage multiple instances of at least one organization (production and sandbox), and generally, there is a lot of movement between these instances. This particular extension allows you to set-up one-click access to multiple instances. So, for example, I can open the extension from my toolbar and choose the org or instance I would like to open, and it will automatically sign me into the new location without needing me to remember or type the username or password. This is my most used extension! Click to download the extension. UPDATE: I’ve moved away from this extension after finding it frustrating to use a different computer and not have access to my passwords. LastPass Premium has become my go-to tool for password management in my personal and professional life. Administrators love tabs. It is one of the best browser enhancements ever! But, it can get confusing when there are multiple tabs open. Which tabs are displaying my production org and which tabs are showing my sandbox org? The Salesforce.com Sandbox Favicon helps to identify your sandbox tabs by placing a small “S” in the cloud favicon. This makes it easy to find your sandbox tabs. Record IDs are the most used string of alphanumeric characters administrators use! Often it can be hard to find the record ID through the URL, but this handy little extension will grab the 15 or 18 character record ID for you without having to go to the URL. The record ID is saved to your computer’s clipboard and can then be pasted into a document or other location using your preferred paste method (such as CTL+V). This handy little extension allows you to log in to another user without having to navigate to the Setup page. After finding the appropriate user, the page you are viewing will refresh, and you are now looking at the page and all other pages you navigate to, as that specific user. Simply log out as normal to return to your account. This is an excellent way to quickly view changes to a page layout for specific profiles without navigating to Setup. There are some other extensions in the Web Store, but I have found these to be the most useful. “Okay,” you say, “those are cool, but I am already using these extensions! How else can I use Chrome with Salesforce?” Well, this is the section of the post that I am excited about because I have yet to see anyone share this “hack.” Let’s get right into it and talk about Chrome Users. Like all good administrators, we have multiple browsers installed, and we probably use them all of them for various tasks. Usually, our alternate browsers are used when you need to log in as another user while at the same time remaining logged into your account. If you don’t use multiple browsers in these and other cases, the browser tends to merge your sessions into a single session. Highly annoying. This is where the Chrome Users functionality is extremely helpful! What nifty tricks do you have for Google Chrome or your preferred browser? Leave me a comment – I would love to hear about it! Glad you find them useful! Thanks for reading! YAY! This is great stuff (which I didn’t know about) that will make my job easier! thanks for sharing … I’ll be heading to the Web Store today. Awesome tips Brent! Thanks so much! This one is fairly new and he’s still working out some kinks, but it’s really powerful. Helps you get to pretty much anywhere in Salesforce by typing. Even create fields! Thanks Carlos! I have saw this extension recently, but haven’t had a chance to play with it yet! I am going to install it right now! Great article, Brent ! I cannot believe how easy is now to switch between my different Orgs with Force.com LOGIN !!! Amazing !!! Thanks so much for the tip ! Definitely love the multiple user setup. I shared that internally a few weeks back at the consultancy I used to work for. Great stuff!! Is there a product that prevents other windows from inheriting the login from the last login? Hi Scott! 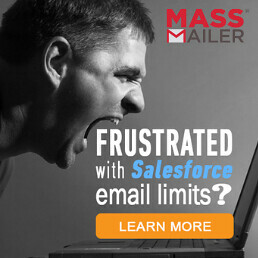 I am assuming you are referring to running multiple Salesforce sessions without crossing the sessions? This is what I use User Accounts for. I have multiple user accounts created which allow me to log into various orgs without crossing streams. It prevents the sessions from inheriting the login credentials of another session. 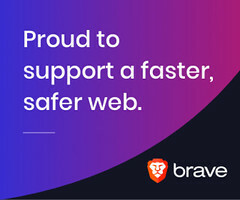 Brent, do you have any suggestions on how to quickly set up all your extensions for each of your new users, AND how to ensure that the user profiles don’t just disappear after a few weeks of not using them. These two things stopped me from using this feature. I now just make sure every org has a custom domain, so that I can log into multiple orgs in the one chrome session. Hmm, I haven’t experienced that issue Jodie. If you want your extensions to appear in the different Chrome profiles setup on your devise, you can either install them again one-by-one, or sign-in to Google Chrome. This will sync all of your settings. Thanks Jim! I don’t think I’ve seen those extensions. I’ll have to take a look. Boostr – Search/Filter for components when building change sets so you don’t have to click page-by-page – huge time saver! Very helpful tips on Chrome power-user steps for Salesforce.com, thank you Brent for having the foresight to publish something so practical for the community! I use most of these extensions, but didn’t know about Chrome users. I tend to use incognito mode, which is quick to start up and counts as a separate browser session. The only downside to this is that it doesn’t track history, but I can usually live with that.